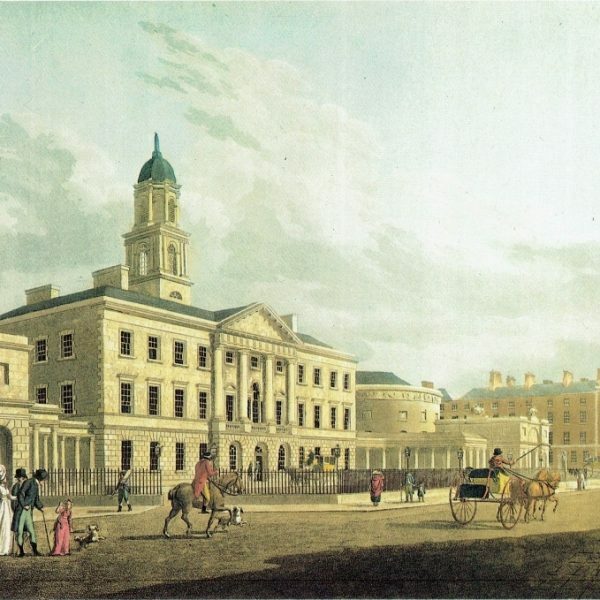 Gardiner’s development of Henrietta Street in the 1720s was a highly influential model for eighteenth century housing development in Dublin. Edward Lovett Pearce is convincingly associated with numbers 9 and 10. 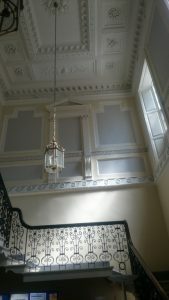 Rather plain exteriors often containing sumptuous interiors and generous stair halls were emulated in many of Dublin’s Georgian domestic buildings. 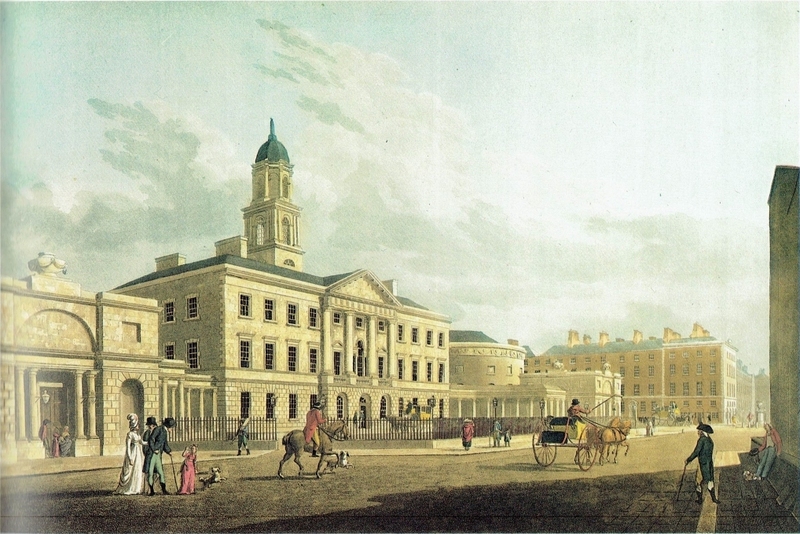 Upper O’Connell Street – formerly Sackville Street – was Gardiner’s other elite residential enclave – largely remodelled now but the scale is still legible, and it forms a context for Bartholomew Mosse’s Lying-in-Hospital (completed 1757), designed by Richard Castles and the later Rotunda and New Assembly Rooms. The ubiquity of brick fronted houses is highlighted by the superlative ashlar work of Charlemont House, designed by William Chambers in 1763, the stonework executed by master mason Simon Vierpyl. 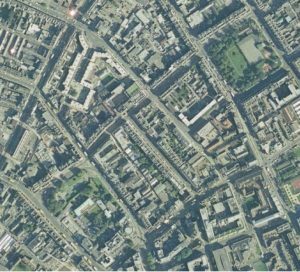 It is now the Hugh Lane Municipal Gallery.